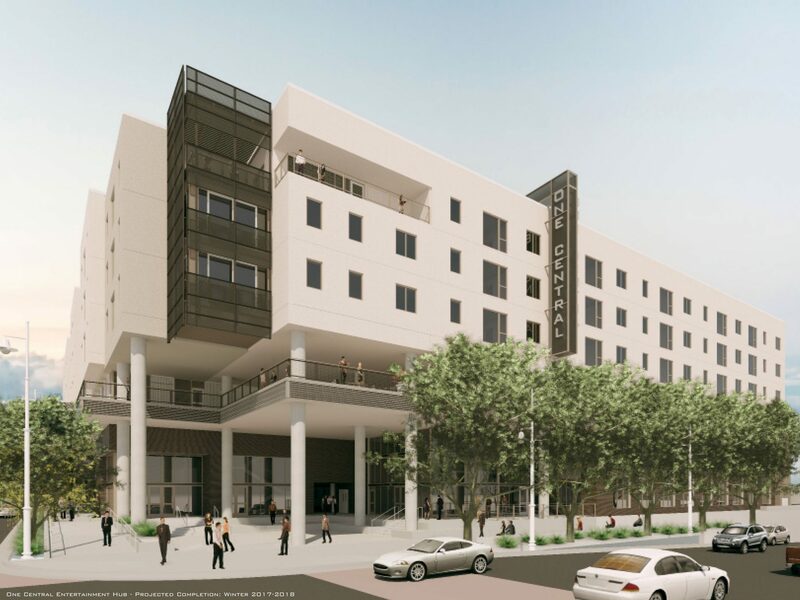 One Central is a 6-story mixed use entertainment hub at the intersection of 1st Street and Central Avenue in downtown Albuquerque. This project is a responsive, innovative, and sustainable design that contributes to the new standard of scale, quality, and vibrancy for redevelopment of downtown. The program includes 37,500 sf of retail and entertainment space, 5,500 sf outdoor dining, 429 parking spaces, 64 apartment units and numerous lifestyle amenities. The project supports the broader expectations of the city’s plan for downtown revitalization where new development contributes to a downtown economy and vital sense of place that is diverse, sustainable, and full of opportunity. One Central is a design-build project of One Central Operating Associates, LLC with principal developer Jerry Mosher and team members SMPC Architects, Studio Southwest Architects, and Klinger Constructors.